Perfluorinated chemicals (PFCs) have been widely used in water repellent and non-stick surfaces for decades, but in recent years increasing scientific evidence has demonstrated a range of health and environmental hazards. Key amongst the concerns are that this family of chemicals is persistent, meaning they never break down in the environment. Environmental persistence, in combination with evidence of hormone disruption, cancer, and immune suppression in children, has led Greenpeace to campaign for a ban on the use of PFCs. 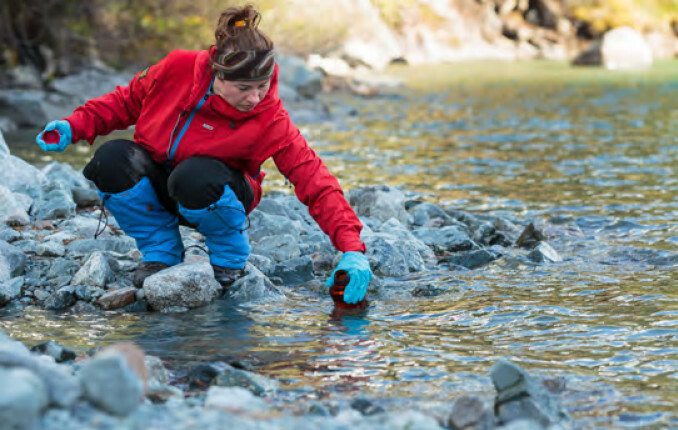 Previous Greenpeace research has shown how PFC water repellents are found on the jackets of most major outdoor brands, and they have called on the outdoor industry to take the lead and clean up its act. 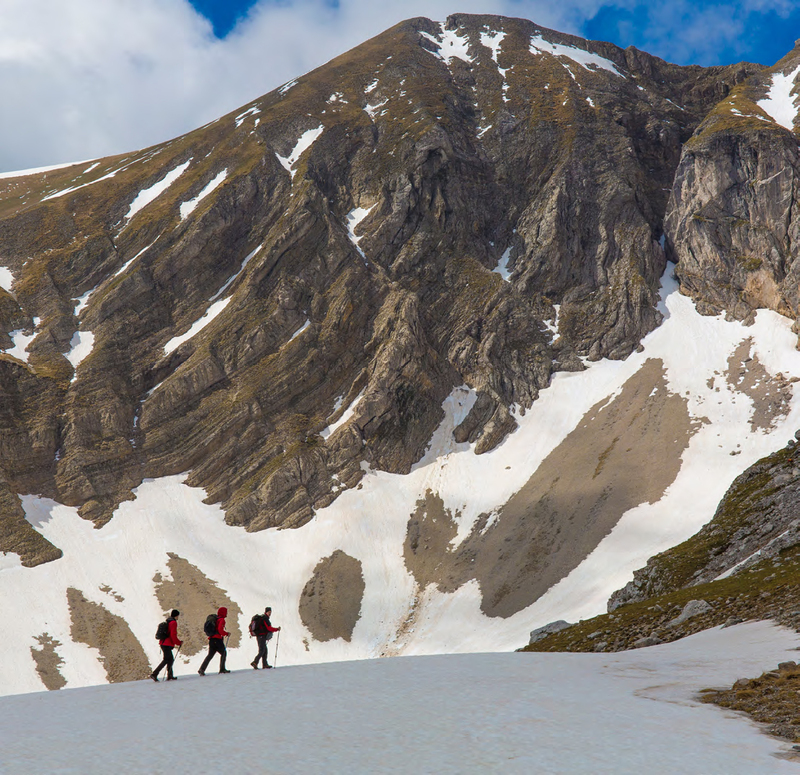 For their latest report they sent expeditions to sample snow and water in some of the world’s remotest mountain regions. Their findings highlight another major concern with PFCs, which is that once released they spread via water and the atmosphere to every corner of the globe. Click here to read Greenpeace’s full report. 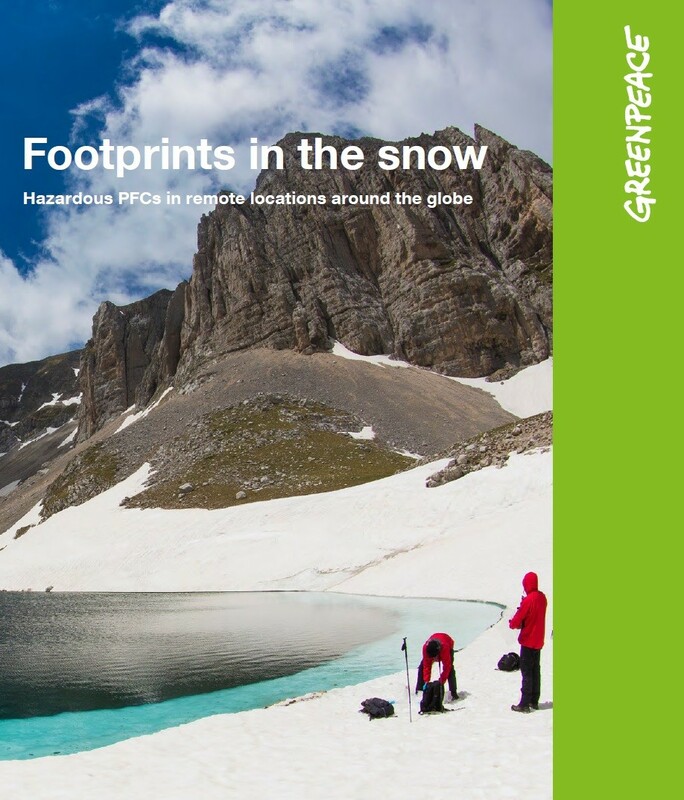 Most PFC pollution is released at manufacturing plants such as textile mills, but many of these facilities form part of the supply chain for major outdoor brands. 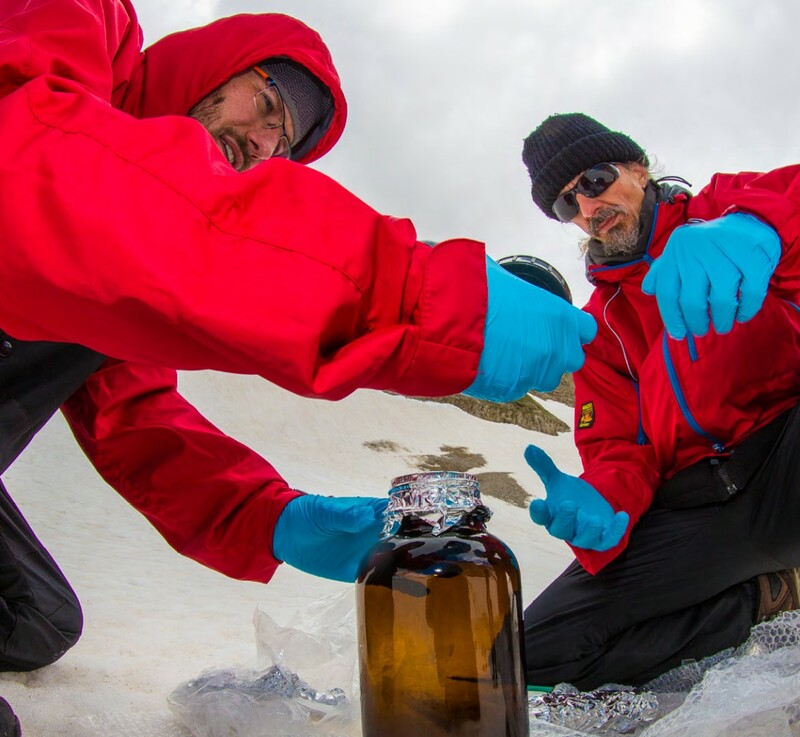 The outdoor industry provides essential equipment for people to enjoy and appreciate the natural environment, so it follows that outdoor brands should lead the way in dismantling the market for these chemicals. Páramo still the only UK outdoor brand to eliminate PFCs from its clothing production. Unfortunately the outdoor industry has been sluggish in its response to this issue. Páramo and Nikwax founder, Nick Brown, has been speaking out in the industry for more than a decade, but only a few brands have really listened. The Greenpeace report highlights that Páramo remains the only UK clothing brand, and one of only a handful in the world, to have eliminated the use of PFC treatments in its supply chain. Since 2014 we have been explicitly requiring our fabric mills to exclude PFC finishes from their processes, preferring instead to use a high performance Nikwax treatment after the garments are constructed. Unlike their competitors, Nikwax have never used perfluorinated chemicals to impart water repellency. Pàramo now runs a programme of testing to ensure that the fabrics we buy are not made using PFCs, and that we are therefore not contributing to this global pollution problem. Many of the big brands have claimed that no viable PFC free alternatives exist. Instead many have simply switched from using one kind PFC, called C8, to shorter chained versions known as C6. These variants are chemically very similar to each other, and carry many of the same hazardous properties including environmental persistence. Both Pàramo and Greenpeace agree that switching to C6 isn’t good enough, and that all PFCs should be avoided for the sake of our health and the environment. 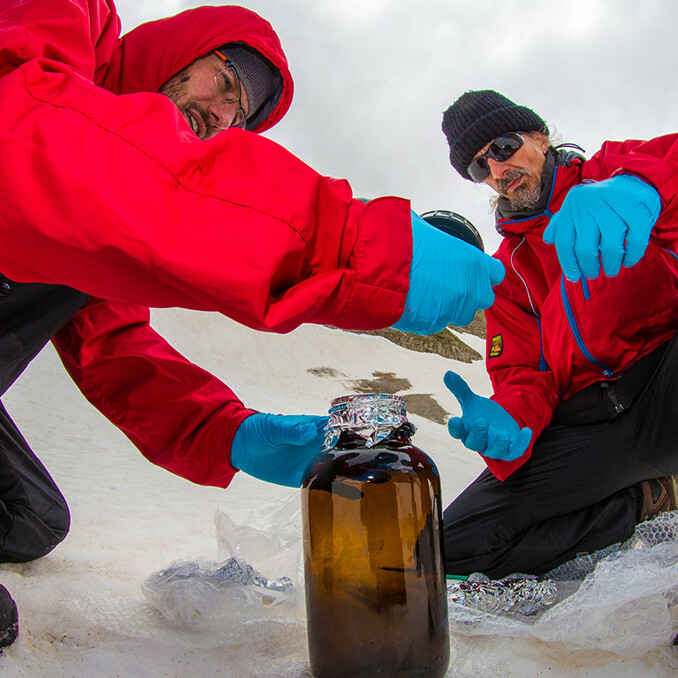 Pàramo has demonstrated that it is possible to have equally high performing outdoor clothing without the use of these hazardous chemicals. Our hope is that this example encourages wider change across the industry. Greenpeace work to put pressure directly on brands and regulators to take action against PFC pollution, but they also ask the outdoor consumer to put their weight behind the campaign. To make your voice heard visit Greenpeace’s Detox campaign page.